Monipuolinen ja laadukas RIIA-korjain. 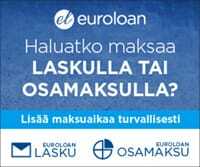 Ääneltään hieno esivahvistin sopii sekä MM- että MC-rasioille. • MM & MC capable • Linear RIAA equalisation • Ultimate circuit technology from Dr. Sykora, slimplified version of Phono Box DS+ without display & relais switching • Ultra low noise & low distortion levels • SMD circuitry • Subsonic filter (switchable on rear panel) • Substantial setup options • Comfortable switching via buttons on front • Metal casing protects against vibration and interference • DC power supply (< 1 watt standby power) • Faceplate silver or black Premium class phono preamplifier with MM & MC capability This ultra low noise phono preamplifier benefits from outstanding circuit technology from Dr. Sykora, well-known from Phono Box DS+, in a slimmed version with almost same sound quality, but without display and relais switching at a more favourable price. For the first time nearly all setup options can be made via front panel, what makes circumstantial handling of mini dip-switches or jumpers obsolete. Exceptional performance and flexibility with almost any MM or MC cartridge makes Phono Box DS the best choice in its price class. A subsonic filter, that prevents your amplifier and speakers of ultra low rumble below 20Hz, is positioned on the rear panel. Carefully selected amplifier modules and audiophile-grade capacitors guarantee a breathtaking sound experience. Therefore Phono Box DS is a perfect cost-effective upgrade for most high-quality hifi-systems!